Please join the Board of Directors in welcoming Jim Stratton to their ranks. He brings a wealth of knowledge about conservation in Alaska and about nonprofit governance. Jim recently retired from the National Parks Conservation Association, one of Trustees’ clients in several of our legal cases, so he’s well-versed in what we do. 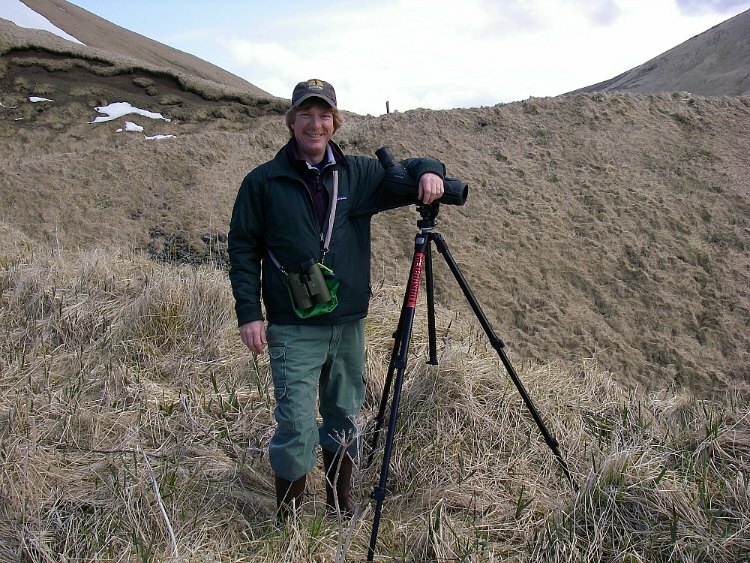 Jim Stratton on a birding trip to Adak. In addition to volunteering with Trustees, Jim produces and hosts the Arctic Cactus Hour radio show on Saturday nights on KNBA. He regularly tries to add to his North American bird list (approaching 650), and he loves to travel and see the world.